Some interesting facts about our population is that we are living longer and our average age is increasing. From the figures obtained in the Irish 2011 census, it was reported that the population of elderly people, aged 65 or over, increased by 14.4 per cent on the 2006 figures. Also the number of persons aged 100 or over was recorded as 389; an increase of 100 persons. This is a general trend that is happening worldwide. The UN estimates that the global population of people aged 65 years and older will grow from 7.6% in 2010 to 11.7% in 2020 to 16.2% in 2050. In Ireland for people over 65, service delivery is usually provided by a limited number of local community occupational therapist. Assistive Technology provision is also oriented towards mobility aids, various low tech aids and in some cases home adaptations to allow for improved access around the home. However there tends to be little AT service provision with regards to high-tech devices to enable access to entertainment systems, or access to computer technologies. Most of us use technologies such as laptops, tablets or mobile phones to communicate, pay bills, shop, look up information they have become quite universal tools. These tools also need to be universally accessible by all, irrespective of age or disability. In Irish census figures about ½ of people within in the age group 60 – 74 years have never used the internet. Although thankfully this figure is falling. Many older people have age-related impairments that can affect how they use computer technology, such as declining hearing, vision, motor skills or cognitive skills. However, although age may place some limits on people, some people have shown that age does not have to limit their activities. Toni Morrison now in her mid-80s still writes books. She has won a Pulitzer Prize for fiction and won the Nobel Prize for literature. Organisations for the older age such as Age action, The Alzheimer Society of Ireland, Age & Opportunity provide useful information aimed to inspire the older population to reach their full potential as they age, no matter what age. With the assistance of volunteer tutors, age Action provide a Getting Started programme delivering training on computers, tablets and smartphones to people over the age of 55. The training takes place in small classes groups and runs in libraries, community centres, family resource centres, corporate offices, and housing complexes for older people. 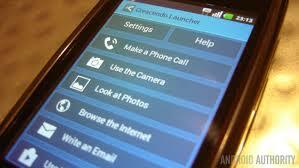 To improve or enable access to mobile devices there are various options that can be considered. First consider any accessibility options within a devices operating system. On a windows based computer, the Windows key + U, will start the “Ease of Access Centre” For mobile devices it is located within “Settings”. This can provide help for people who may have difficulties with either vision, hearing, physical and motor skills or learning and literacy. For example, text can be enlarged and read aloud, screen contrast can be changed to a high contrast option or films and podcasts can be watch with closed captions. There are a wide range of alternative keyboards for individuals who find the standard keyboard layout and size difficult to use. Keyboards come in diverse shapes and sizes and with alternative layouts. For mice alternative there are trackpads, trackballs or rollerballs, joysticks and ergonomic styled mice that may offer a better alternative. They can be used for both windows based computers as well as some mobile devices. Eldy is Windows baseed software that turns any standard PC into an easy-to-use computer for people that have never used a computer before. It provides an easy six buttons interface for email, Internet, chat, videoconferencing, documents, pictures, skype and more. Another similar program to Eldy is ENVELOPE. Alternatively, if you just want to automate a series of actions and create a macro button that you can put on the desktop, or assign to a hot key there are a number of options such as AutoHotKey and AutoIt. Another alternative is SlickRun, which uses “magic words”, e.g. you can just type MAIL to run your email program of choice. 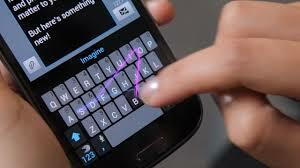 There are a number of alternative keyboards that can be used instead of the standard keyboard within mobile devices. Some alternative keyboards will predict your text and will adapt to the way you type. The method of using the keyboards can be slightly different and worth a look. Also for individuals who are not familiar with finding their way in the smartphone environment, app launchers provide a friendly way for people who wish to use a smartphone without the hassle of navigating their way in a complex smartphone environment. ThickButtons is an app for mobile devices. The ThickButtons app enlarges and highlights buttons, which you will most likely press next and shrinks the remaining ones. It adjusts to your typing habits. This keyboard is another alternative to the standard keyboards found on phone and tablet devices. You can type by sliding your finger from letter to letter. It predicts your text and will adapt to the way you type. BIG Launcher is aimed at making the smartphone suitable for seniors, children, and people with motor problems or visual impairments. This is a similar idea to the one above, but looks quite different. https://play.google.com/store/apps/details?id=com.oadigital.launcher free version is supported by advertising. Premium version also available. 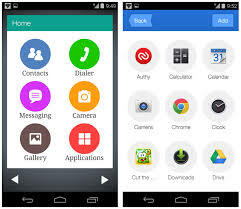 Launcher 8 is a launcher for Android handsets that allows you to add the appearance and the interface of a Windows Phone to your mobile phone or tablet with Google’s operating system. 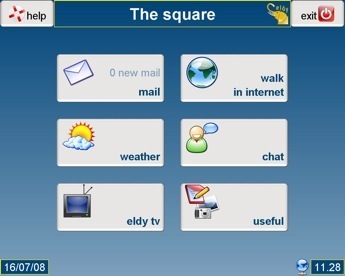 This entry was posted in aids for daily living, App and tagged Assistive Technology, Old Age by Sean Loughran. Bookmark the permalink.